Throughout my life, I have been involved in the visual arts. My background as a psychologist and my work with Tibetans has led me to appreciate archetypal symbolism and how these archetypes are present in the natural landscape. New England serves as my major source of inspiration, especially the seacoast and the distinct four seasons. I have studied with David P. Curtis who is trained in the Cape Ann School of American Impressionism. My work has elements of the American Impressionist manner and reflects the styles of early French symbolism and post impressionism. 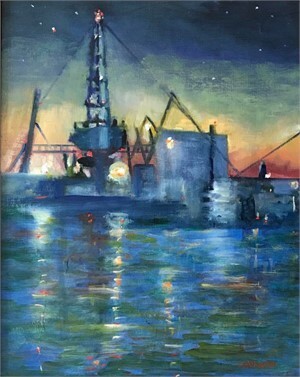 My work is exhibited in Portsmouth, New Hampshire Kennedy Galleries, through the New Hampshire Art Association, Kittery Art Association and the Rockport Art Association and Museum. My paintings are also included in many private collections nationwide. 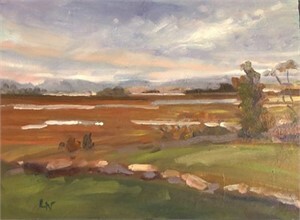 ViewLorwen C. Nagle Painting New Dawn on our marketplace. Lorwen C. Nagle Throughout my life, I have been involved in the visual arts. My background as a psychologist and my work with Tibetans has led me to appreciate archetypal symbolism and how these archetypes are present in the natural landscape. New England serves as my major source of inspiration, especially the seacoast and the distinct four seasons. I have studied with David P. Curtis who is trained in the Cape Ann School of American Impressionism. My work has elements of the American Impressionist manner and reflects the styles of early French symbolism and post impressionism. My work is exhibited in Portsmouth, New Hampshire Kennedy Galleries, through the New Hampshire Art Association, Kittery Art Association and the Rockport Art Association and Museum. My paintings are also included in many private collections nationwide. “The most beautiful experience we can have is the mysterious. It is the fundamental emotion that stands at the cradle of true art and true science”— Albert Einstein, The World As I See It ViewLorwen C. Nagle Painting New Dawn on our marketplace.